My son, Aaron Ng, had a high fever during a week when I was away from home, with doctors recommending treatment with paracetamol. Finally, sensing something more serious, the doctor sent him for a blood count and it was discovered he had contracted Dengue fever. He was immediately admitted to the general hospital, where the Intensive Care Unit was full. However he was monitored hourly, and next morning my brother was asked to call me to my home town, Johore. 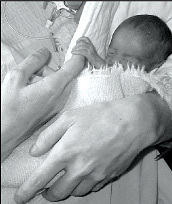 My son was now critical as his blood count was only 21,000 instead of the normal 150,000. On hearing this shocking news I quickly asked for help from our Usui Rei-ki Network co-ordinator in Kuala Lumpur, Shalet, who arranged voluntary absent healing by Rei-ki II helpers. When I reached the hospital, immediately I started to perform rei-ki in the first position. My son looked pitiful, with his body and eyes all red and swollen. Throughout the night I continued the rei-ki, and when the morning blood result came in, he had shown some slight improvement. I went home for a shower then returned to the hospital to continue giving rei-ki. The next day, Saturday, to the doctors' surprise Aaron started to show a sharp improvement, and his blood count had climbed to 60,000. The doctor informed me that if he continued to show such an improvement he might be discharged by Monday. True to his word, on Monday the blood count had already reached 145,000, and Aaron was discharged from the hospital, with still a bit of swelling on his legs. As you may know, there is as yet no treatment for Dengue, and all the doctors can do is treat with paracetamol, and the rest is up to the patient. So, from the bottom of my heart, I wish to thank all those helpers in Rei-ki II. When I was diagnosed with a serious heart condition, I was told the condition was not operable: it could only be treated with medication. For the next 18 months, my health progressively deteriorated, requiring increasingly stronger medication and more hospital trips. It reached the stage where our GP informed me that they were starting to run out of options, but he said, “Don’t worry, we will sort something out”. This was not very reassuring. Two old ladies were really handicapped with arthritis, effectively immobilised by their painfully stiff joints. Every alternate day, I treated them with rei-ki hands-on. One reported that afterwards, she slept better than she had for a very long time, and the other felt that her knees were particularly warm and comfortable that day. After the first week of treatment, they could go to the bathroom without family assistance, and by the end of the second week they were enjoying shopping and a short walk around their gardens. It was a privilege to give rei-ki and help such old people enjoy simple pleasures, which we all take for granted. While holidaying in my own country, Brunei in the Northern tip of Borneo, I was called to give assistance to a desperately depressed young woman in the 20th week of pregnancy. Her doctor had prescribed six different types of antidepressants and sedatives, which had not helped her. She felt suicidal, was contemplating termination of the pregnancy (after ten years of trying) and rei-ki was a last resort. Her husband requested to be present, as he was skeptical, yet she slept through the first hour of treatment and had a good night's sleep for the first time in months. Her husband offered to pay me to give his wife rei-ki daily, but I was happy to do so voluntarily and, after two weeks of receiving rei-ki on alternate days, she felt her tensions and depression were slowly easing away and she started to enjoy her pregnancy. Now she and her family want to learn rei-ki. My mum and dad are retired and are travelling the country with their caravan. Dad has developed a habit of severely rolling his right ankle, at least four times now. It usually results in seven days off his feet, severe bruising, and immense pain. The last time it occurred, I was spending a few days with them in the bush, and with nothing to do but relax, I was able to spend four hours that night doing rei-ki on his ankle. Dad was skeptical about the benefits, but could feel heat and less pain. I was pleasantly awoken at 5.30 next morning to see him with a smile and kicking me with his injured ankle!! He had just walked his usual 3 Klms, and was astounded that he could walk and put all his weight on his ankle. He was truly amazed! If only I could get them to stay in Brisbane long enough to take the rei-ki seminar and understand the metaphysics. All in its own time I guess! Meanwhile, as a police sergeant, rei-ki has improved my physical health and given me a better understanding of my body's needs. My attitude and outlook on life has changed for the better, and I now have better appreciation for the wellbeing and comfort of others around me. At age 38, my daughter Karen suffered two ruptured aneurysms in the brain in her 29th week of pregnancy. Although in tremendous pain, she was able to first telephone me and then the ambulance. Although I live 30 minutes away I arrived before the ambulance, to find my daughter in a very painful and distressed state, obviously in shock. The ambulance officers tried to pass it off as migraine and only took her to the hospital because she was pregnant. An MRI scan found that there was a massive brain haemorrhage and the doctors indicated that there was not much hope. From the moment my daughter arrived at the Angliss hospital in Melbourne at 9.45 am, to the time she was transported to St Vincents Neurology ward, where she was operated on at 8.00 pm, I never stopped giving her rei-ki. A gynaecologist from the Mercy Hospital monitored the baby in utero during the brain operation (they don't deliver babies at St V's). Next morning the doctors delivered the distressed baby girl, Abby, by Caesarean section, on my daughter's birthday. Abby weighed just one Kg, and I was able to touch her before she was taken to the Women's Hospital to spend the next three months. At the end of her first week in hospital, Karen suffered a stroke during an ECG. Every day for three weeks I spent time giving my daughter rei-ki, and at times my daughter didn't even know me or know that I was there. Following brain surgery and the Caesarian, she developed serious deep vein thrombosis, and the clots were travelling to her lungs. So it was back to Haematology at St V's for an operation to insert a filter into her pulmonary artery to catch the clots. It's been a long haul, but I am so happy to say that both mum and baby are doing fine. Two miracles. Baby is still tiny but progressing, and now over one year old, and mum is going to be on medication for the rest of her life but that is her only impairment. No one, including doctors and nurses, expected them to live, let alone with no disabilities, but they don't know the strength of rei-ki. San Carlos, CA 94070 USA. Rei-ki has really changed my life for the better. I came to Rei-ki I four years ago in a wheel chair as my health (multiple sclerosis) was starting to deteriorate, and I was fortunate to take Rei-ki II six months later. I can now feel with the ends of my fingers and also, strangely enough, with my feet, which I have not been able to do for at least ten years. Nowadays I wake up happy and excited, waiting to see what else will return. Meanwhile my days have become very full as I have taken on the responsibilities of being the rei-ki co-ordinator for the Usui Rei-ki Network in England with my partner Ray, and also, at the same time we became engaged. So rei-ki has helped me to create what seems to be the perfect position and I can now help others as well. My daughter was attacked in her home by an intruder and had a very nasty infected cut, from under her right eye, down the side of her nose and through her lip. The doctors couldn’t sew it up because of the way it was injured, so they superglued it. It really was a mess. As it happened, I was reviewing a Rei-ki I seminar with the telephone switched off, so could not be contacted. Thus the injury had happened five hours before I heard about it. Straight away I started to send Rei-ki II over distance, and continued for three hours that night. The next day during the seminar, I sent Rei-ki II to her continuously for six hours. The police had taken photos on the Saturday night. More photos taken three days later showed a clean wound with over half the scab fallen off, leaving clean scar tissue. This amazed not only her doctor but also the police. Friend Pam injured her knee playing netball on a Friday night. The local hospital sent her home on crutches for two weeks, with very strong pain relief and anti-inflammatory medication as treatment for ligament and soft tissue damage. Eighteen hours later I treated the injured knee with rei-ki energy for around forty minutes, and another hour of rei-ki a few hours later. Pam was then able to walk unaided and without pain; the swelling had all but gone. The following Monday morning her local doctor cleared her to return to work the next day as a carer in an aged care nursing facility. A further hour of rei-ki that evening enabled Pam to return to work with confidence and without pain relief medication. Pam is very grateful for rei-ki, as no work means no pay. I work as a Community Health Worker with young adolescents. One of my clients is a 12 year old boy who suffers from ADHD (Attention Deficit Hyperactive Disorder). One evening the boy was very restless and was complaining that he could not get to sleep. I tucked him into bed and commenced sending him Rei-ki II in absentia, without touching him, as I sat opposite. When I had tucked him in he was rolling from side to side. As soon as I started the rei-ki he stopped moving around, and continued to have an undisturbed sleep. When I stopped the rei-ki a couple of hours later, he slowly began to move around but not as actively as before. Four days before taking my Rei-ki I seminar, I had rubbed my eyes with my knuckles rather too hard, which had caused some blood vessels to burst. The white of my eyeball turned dark red. I rushed to the doctor who, after examination, commented that it was the worst case he had seen, then took a photo of it and showed me examples of other cases on his computer. He said it would take two weeks to heal and gave me some medication. When I attended the Rei-ki I training a couple of days later, on the recommendation of my sister in Adelaide, I shared my story with the other participants. On the second day of the seminar, the lady sitting next to me noticed that my right eye looked much better. By the third day it had cleared up, except for a small red dot. I took a photograph of the eye as proof that it had healed so soon. Although I was supposed to see the doctor within a week for more medication, it was no longer necessary - rei-ki had done a great job.